Quality care and patient comfort is the foundation of our practice philosophy upon which we have built our successful practice. The moment you enter into our beautiful and ultra clean office, you will experience its warm and relaxing surroundings. We make every effort to put you at ease and make your dental visit with us a relaxed and comfortable one. Excellent dentistry begins with a careful examination, and is followed by a treatment plan that considers not only your immediate needs, but your oral health goals as well. We encourage you to involve yourself in your own treatment and to ask questions throughout our relationship. We strongly believe that an informed patient is most likely to achieve the highest level of oral health. We look forward to serving you. 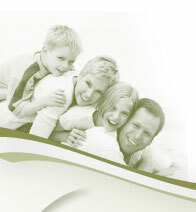 Our mission is to help our patients attain optimal dental health in a gentle and caring environment. Dr. Rosa Wynn is a top cosmetic dentist in Saratoga CA and the surrounding Los Altos, Los Gatos, Cupertino, Campbell, Santa Clara, West San Jose CA areas. Dr. Wynn offers the full spectrum of dental and restorative procedures, from the simple to the complex, including dental emergency, routine check-up and cleaning, root canal treatment, crowns and bridges, dental implants, veneers, tooth whitening. In addition to at-home teeth whitening, Dr. Wynn also offers in office whitening with the Zoom! tooth whitening. 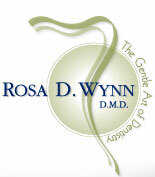 Dr. Rosa Wynn and her staff are dedicated to providing dentistry with a gentle touch. She is a participating provider in the following insurance plans: Aetna, Cigna, Delta Dental, MetLife, and Guardian.